Our workshop can cover all needs regarding analogue and digital tachograph service. If your vehicle used for the carriage of passengers or goods has been put into service for the first time before 01.05.2006, then it can be equipped with analogue tachographs. Otherwise, it should be equipped with digital tachograph (Regulation EC No 561/2006). 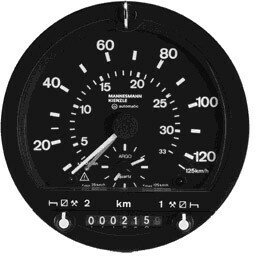 We install analogue tachographs to all types of vehicles. We perform all necessary checks for tachograph proper functioning through special technical equipment. The great variety in tachograph repair parts, the trained personnel and our long experience guarantee proper repairs in all types of analogue tachographs. It is about updating or confirming vehicle parameters. We install digital tachograph to vehicles that do not have one. In many new vehicles, digital tachographs have been installed but not activated by the manufacturer. We can activate the tachograph, i.e. to make it fully operational and implement all its functions, with our workshop card. Το συνεργείο μας αναλαμβάνει την ενεργοποίηση των ψηφιακών ταχογράφων, δηλ. θέτει τους ψηφιακούς ταχογράφους σε πλήρη λειτουργία και όλες τις λειτουργίες τους σε εφαρμογή, μέσω της κάρτας συνεργείου. Through our diagnostic equipment, we can check whether the tachograph works properly or not. Similarly to analogue tachographs, digital tachographs have to be inspected and calibrated at least once within two years of the last inspection. Also, during calibration process, the driver is informed on proper tachograph use. Also, installation plaque is affixed to a clearly visible and easily accessible place of the vehicle. 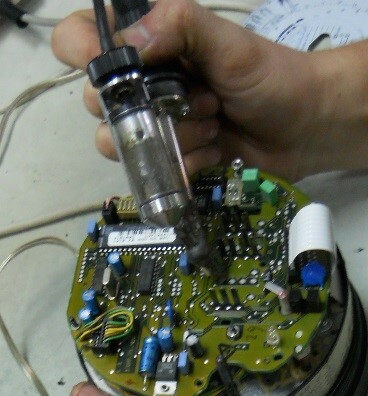 Digital tachographs cannot be repaired due to safety reasons. So, generally, workshop intervention in digital tachographs is minor and restricted to changes of motion sensor, harness connection changes and blogged card removals. When the digital tachograph cannot be repaired and our technicians have to replace the tachograph, then we download the data from the malfunctioned vehicle unit and deliver them to the transport company. In the case that the malfunction of the recording equipment prevents recorded data to be downloaded, even after repair, our workshop issues to transport company a certificate of data undownloadability. 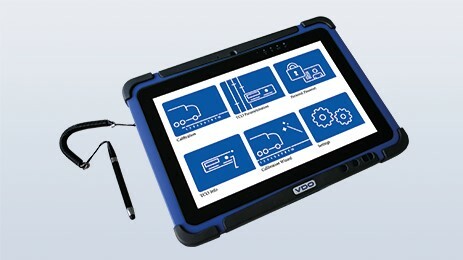 We provide a warranty of two years for all the digital tachographs that we install (ΕFAS, VDO & STONERIDGE). Older versions of digital tachograph record as ‘work’ the hours that the vehicle does not move. So, when a driver leaves the vehicle and goes for rest, he/she has to adjust the tachograph in ‘rest’ mode. However, it is not rare, for drivers to forget this adjustment; as a result, the tachograph records as ‘work’ the time that the driver is at ‘rest’. Our workshop can upgrade those old versions of digital tachographs to follow the tactic of new tachographs, that is to move the driver activity to ‘rest’ mode when the vehicle is not moving. 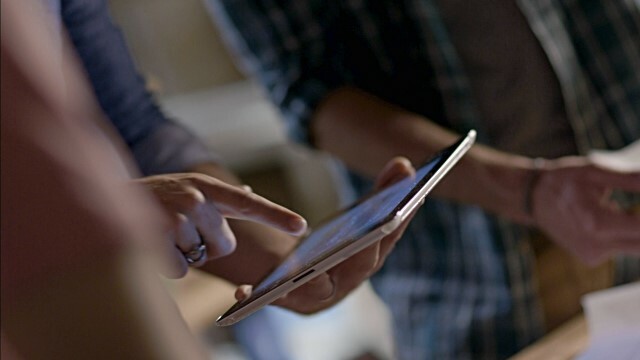 Stay up to date with our offers and latest news.